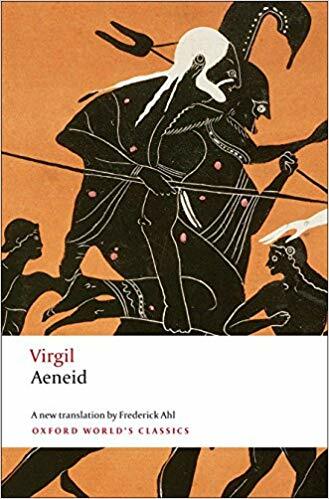 I have been reading some very good essays on Virgil today, and one fact that my students keep bringing up is that the headless corpse of Priam on the beach is an allusion to Pompey’s headless corpse on the beach of Egypt. This surprised me, since I was fairly certain that Pompey’s headless corpse in Egypt is, in fact, a detail from Lucan, a good century after Virgil, that alludes, therefore, back to Virgil. iacet ingens litore truncus, / auulsumque umeris caput et sine nomine corpus. A great trunk lies on the shore, a head torn from shoulders and a body without a name. hunc ego, fluminea deformis truncus harena / qui iacet, agnosco. I recognise him, who lies on the river’s sands, a misshapen trunk. The parallels in the Latin make the allusion to Virgil in Lucan fairly clear. What I wondered was how we came to the inverse allusion — that Virgil’s image of Priam’s corpse is of Pompey’s. I did some digging, and it seems that because Pompey was beheaded at the mouth of the Nile and controlled Asia, and because Priam’s body is on the shore and he also controlled Asia, Virgil is making such an allusion. According to The Virgil Encyclopedia (from Wiley), under the entry ‘Pompey’, Virgil is alluding to Asinius Pollio here. Unhelpfully, Asinius Pollio’s account of the civil war does not survive. The first person I know of to say that Virgil is making Priam into Pompey in this passage is Servius, the great late antique commentator on Virgil. Due to his access to things now lost to us, we tend to believe Servius. Servius does not give us a source for his belief that Virgil is implicitly making Priam into Pompey. There is, in fact, nothing in the content of Servius that would make us take this line of reasoning beyond our trust in Servius. Of course, we want to take this line of reasoning because we are in the age of the ‘pessimistic’ or ‘anti-Augustan’ reading of Virgil, the reading that deeply problematises the killing of Turnus, that puts into the forefront of our reading of Book 6 the facts that the golden bough does not come easily and that Aeneas and the Sybil return to the land of the living through the gate of ivory, the gate designed for false dreams. Or we remember Dido and, along with St Augustine, we weep. We are also the age that notes that the first simile of the epic, comparing Neptune with a statesman who calms mobs with a word, is not actually referring to Augustus, who calmed civil strife with war, and we remember that Neptune was the patron of Pompey and of Antony — the enemies of Caesar and Augustus, respectively. But what if Servius is wrong, and what if he’s wrong because somehow we’ve read the allusion backwards? What if, that is, the real allusion has been Lucan all along? What if Virgil is not comparing the headless corpse of Priam to the headless corpse of Pompey? What if Lucan’s allusion has so much power that it has become the Virgilian intertext? Thus, we cannot help but see Priam as Pompey after reading Lucan, even if that was not Virgil’s intention. Or — what if there’s a detail I’ve missed? Perhaps I’ve missed another Pompey intertext to which Virgil is explicitly alluding. Correct me if I’m wrong. This entry was posted in Ancient World, Books, Classics, History, Literature, Mythology and tagged aeneid, allusion and intertext, civil war, intertextuality, lucan, pompey, priam, servius, stephen hinds, virgil, virgil encyclopedia on December 6, 2018 by MJH. 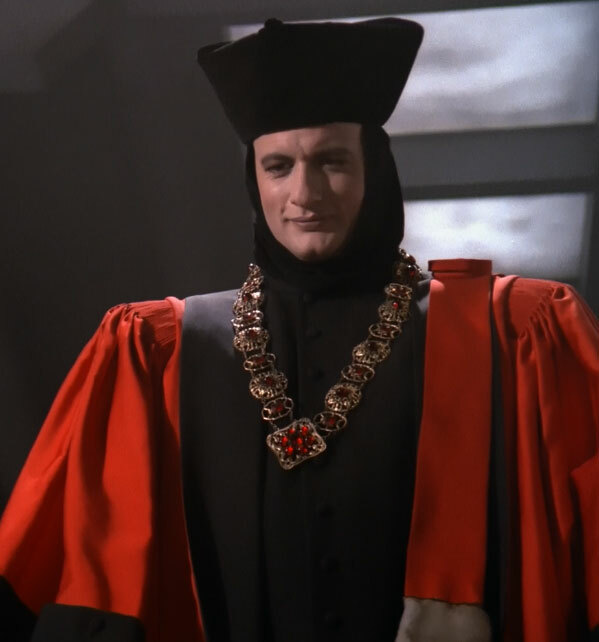 I recently shared on Facebook about how I — without planning to — worked Star Trek into a lecture on Ovid, Metamorphoses 1. The context was a discussion of the ‘divine spark’ in human persons, and how this idea is part of many ancient philosophies and religions, and in some cases ties into the idea that we need to release this divine spark through ascetic discipline, setting it free from the confines of the material world. This led to the statement that many philosophies accordingly believed that the material, physical world was bad, and the metaphysical was good. Me: Star Trek: The Next Generation. Me: Yes, like Q, who is there at the beginning and there at the end. A friend on Facebook says that tying material into their own lives in this way is a good method for helping ideas stick in students’ minds. And I agree. The problem for me is figuring out which cultural references actually work. Later in that same lecture, I was talking about the sea, and how ancients did not like travelling by sea, because it was very dangerous, etc., etc. This concern about the sea is played out in A Merchant of Venice, for the play begins with Antonio losing his wealth because he had sunk it into merchant vessels. And I got blank looks. So, Star Trek before Shakespeare, I suppose. But the lecture I gave where I brought in the debate about whether Battlestar Galactica is based on The Aeneid also go blank looks. Thankfully, though, the Three Amigos works, sometimes even for those who’ve not seen it. Student: Professor, how should we translate famosus? Me: That’s The Three Amigos. Student who laughed: Best movie ever. Me: You should all go home and watch it. It’s on Netflix. They will all now, hopefully, remember that famosus does not mean famous. It is hard to know where to go with cultural references. Some of them creep out of me, and sometimes they work. Sometimes they don’t. I’ve never been hip, but it seems that enough Classics students watch Star Trek that I can get away with a few references as part of my pedagogical practice. What successes or failures have you ever had? This entry was posted in Ancient World, Books, Classics, Literature, Movies, Philosophy, Science Fiction and Fantasy, Television, Words and tagged aeneid, allusions, battlestar galactica, cultural references, merchant of venice, metamorphoses, ovid, pedagogy, star trek the next generation, the three amigos on October 19, 2018 by MJH. Tarquitius next set himself in the path of Aeneas’ fury. Hefting a spear, pinned the massive weight of his shield to his breastplate. This, I concede, is probably not the most violent scene in the Aeneid, but I hope it suffices as an example. This poem is violent, filled with many grim deaths. But overall, it is worth reading — the violence is part of the story, part of the art, and contributes to the bigger themes I discussed when recommending that you read this epic. and, holding on with tightened muscles, it grew stiff in death. but this hand too with all the arm is severed. on to the enemy ship, to damage it by his weight alone. Not the most gruesome death, but possibly one of the most bizarre as Braund observes. This death, which continues on the blood-soaked ship until it sinks, like the others in Lucan, highlights the monstrosity of civil war. There are no heroic deaths here, for the order of the world has been cast awry. Himself, admitting now that he’s done wrong. Wounded, he cries, ‘Help, Aunt Autonoe! The Expendables films having nothing on Ovid. Each of these poems has its violent moments. But each also has wider themes — love, destiny, the wrath of the gods, freedom, glory, right behaviour. The violence and death are not there to be glorified or revelled in. They are subservient to the wider purpose of great poetry. And, whether you like them or not, these three are consummate poets. Turning back, then, to a modern historical novel, the question should be the same, even if the artistry is not Virgilian, Ovidian, or Lucanian. What does the violence do? Does it propel the plot? Does it deepen a character? Does it expand a theme? Or is it merely titillation for the violent side of males who live in a society that prevents most of them from being legitimately violent? Once these questions are answered, the rest should fall into place. 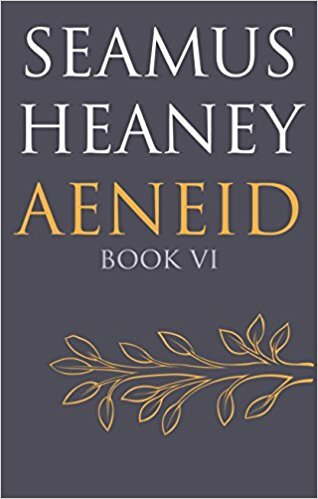 This entry was posted in Ancient World, Books, Classics, Literature, Mythology and tagged aeneid, civil war, lucan, metamorphoses, ovid, pentheus, the bacchae, violence, virgil on July 23, 2018 by MJH.